I'm excited to be your Featured Designer here at My Memories! Fall is my favorite time of year! While I love the dark, rich colors of Autumn, I really love pastels as well. My newest Kit, Sisterhood, celebrates my sister and I! We are 15 years apart, and when she was a baby, people used to ask if she was "mine". She was my toy, my baby and is now my friend. 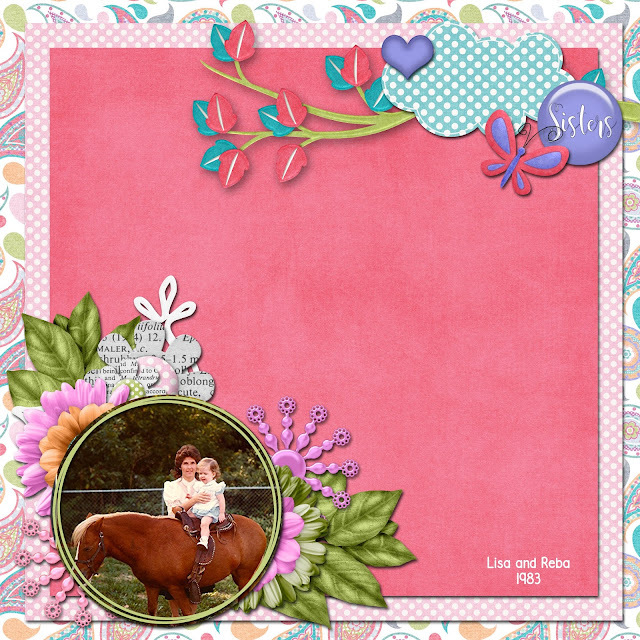 This layout is from "back in the day" and I just adore it!